Designed for any body type, at any stage of life. Experience less pain, better posture & flexibility, vibrant community, and strength from within. We want you to experience the benefits of Pilates every day of your life. Whether it’s climbing a mountain, playing with your children pain-free, or looking in the mirror with confidence and appreciation for all your body allows you to do. Learn basic Pilates moves, begin to build a strong core, focus on proper breathing and posture, and increase body awareness and concentration. 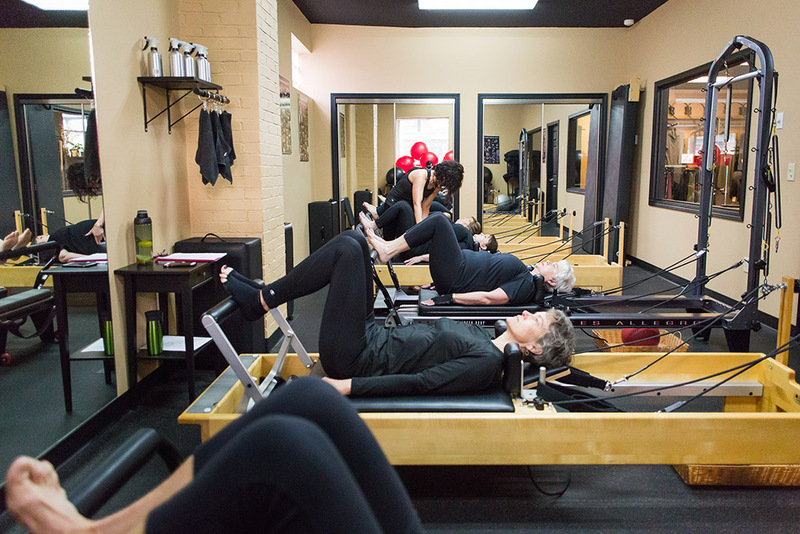 Pilates performed on a reformer: a sliding platform anchored at one end with resistance springs. A class promoting strength and development of your core muscle groups.